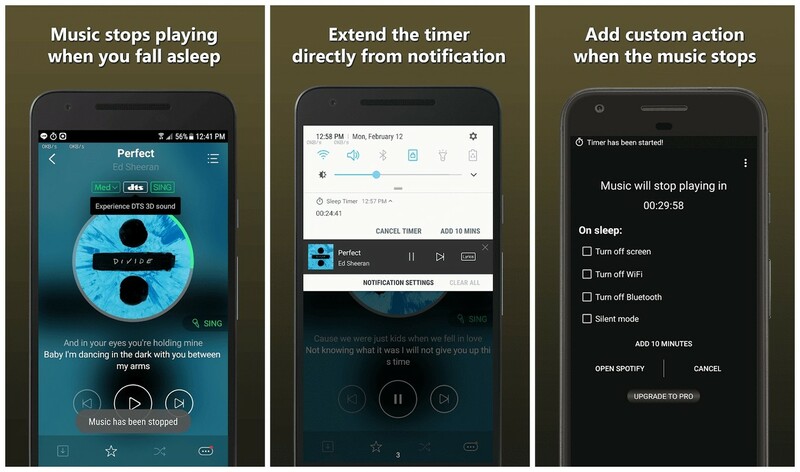 We started with Sleep Timer, an application that, as you may have guessed, allows you to set a timer of the time you want so that, once it reaches its end, Spotify stops ringing. In addition, it has other options such as Spotify stops when you turn off Bluetooth, WiFi, activate the silent mode on your mobile, etc. It’s completely free and works really well. If the previous one was to go to sleep, SpotOn serves to wake up. 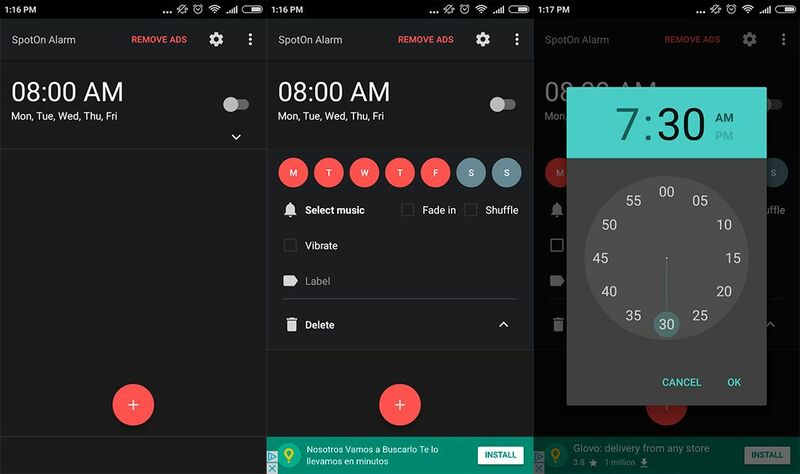 You just have to connect your Spotify account with the app, go to the “Wake” section, set an alarm and select the song or playlist you want to play. You can add fade so that the volume increases progressively or activate the random mode if you wish. It’s completely free and you can download it from Google Play. Very similar to the previous one, but with an interesting addition. 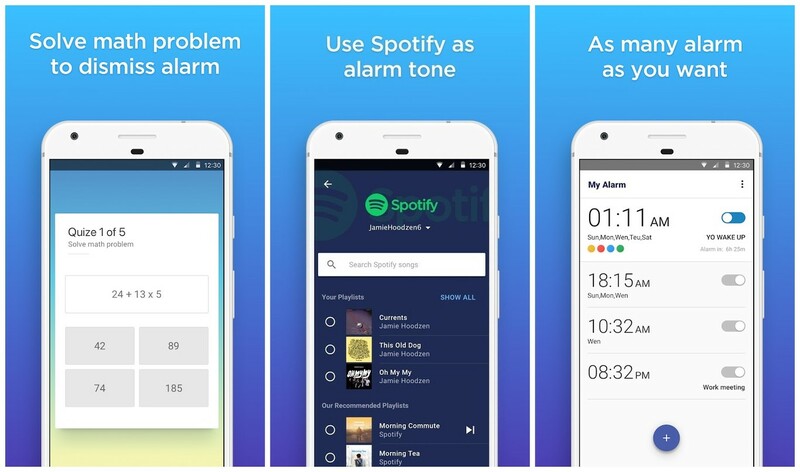 In MyAlarm you can set an alarm that activates a song or playlist in Spotify, but allows you to add “challenges” that you must complete so that it stops ringing, like smiling, shaking the phone or solving a mathematical equation. In addition, you can limit the number of times you click on “Late”, so you’ll end up waking up yes or yes. 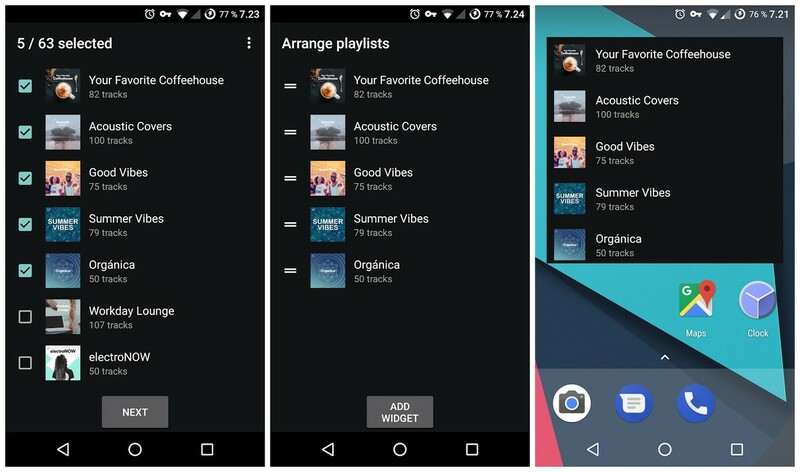 With this application you can add a widget to your home screen to quickly access your favorite playlists. You just have to press the screen, add the widget, connect your Spotify account and select the playlists you want to appear. Easy, simple and free. As simple as useful. 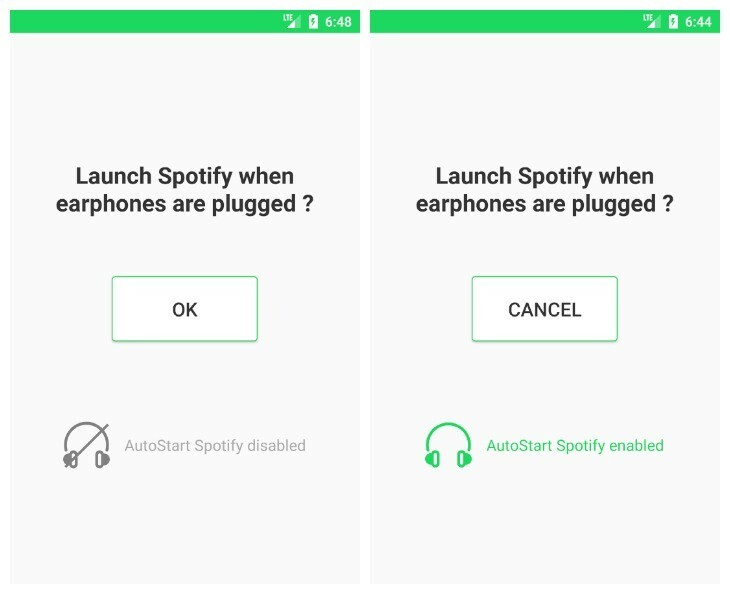 AutoStart Spotify starts Spotify every time you plug in your headphones, saving you having to open the app for yourself. You just have to open it, press the button and forget about it. It’s completely free and you have it available on Google Play. Companion 4 Spotify is able to monitor artists and playlists to inform you each time a new song is added, so you can import it to your lists directly from the app. 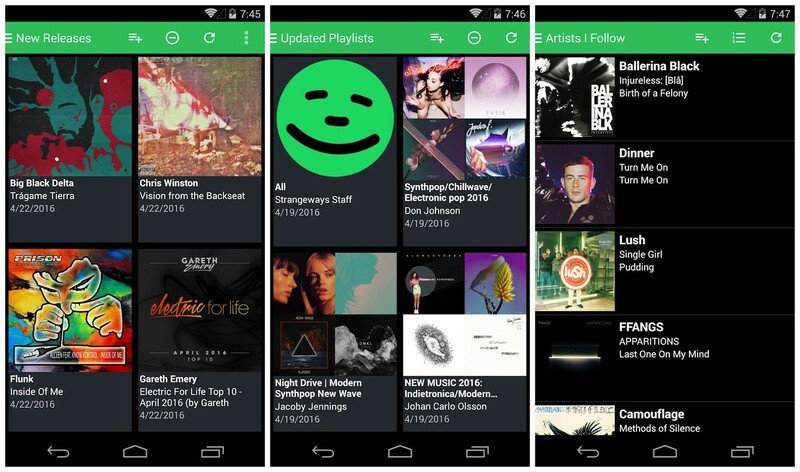 It also serves to generate playlists based on the artists you follow and related, as well as combine several playlists into one. We could not finish this article without talking about Shazam. 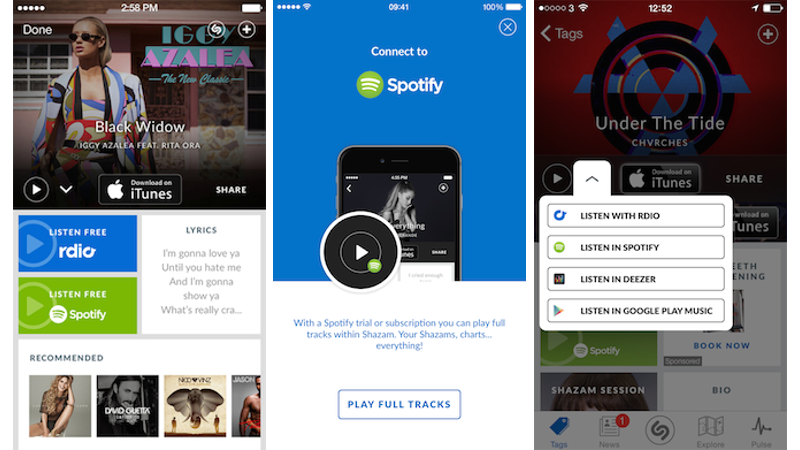 Recently acquired by Apple, Shazam allows you to identify almost any song that is playing and, if you have it connected to Spotify, import the discoveries to the playlist you want. It is free and since the purchase by Apple has no ads.